Dutch elections 2017 were on March 15 2017. National elections in The Netherlands means Dutch people will choose a candidate to sit in the House of Representatives of the States-General (in Dutch Tweede Kamer van de Staten-Generaal). In short, we call these the Tweede Kamerverkiezingen. 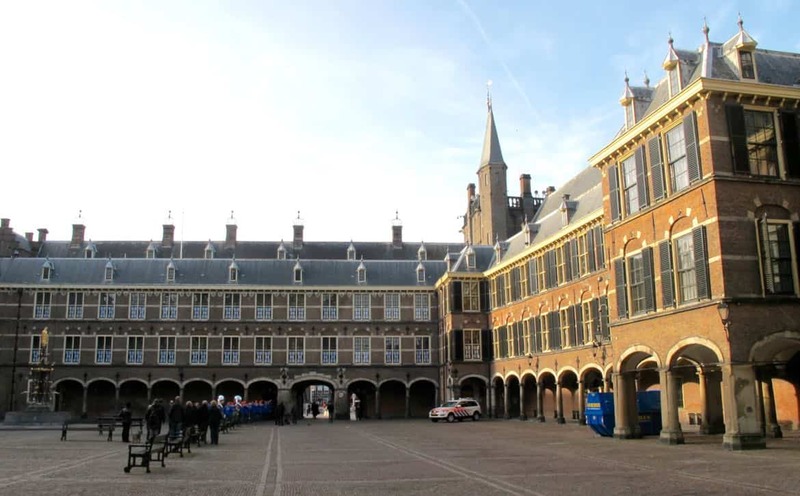 There are 150 seats in the Dutch House of Representatives. The political party who wins the most votes will supply the Prime Minister of the Netherlands (in Dutch: Minister-President). The Dutch Prime Minister is thus never chosen directly by the public. It is a consequence of elections. The Dutch Prime Minister is the head of government and the Minister of General Affairs. The function of Prime Minister in The Netherlands is not as important as in the UK or France. The political party who gets the majority of votes (who wins the elections) will divide the positions of the Dutch Council of Ministers among them. The Ministers will govern the land by making new laws. In The Netherlands however, one party has never won the majority of votes. This is because of the system of proportional representation. This means that if a party gets 30% of votes, then they get 30% of seats. The party who wins most votes has the most power to form the government with other parties. We call this a coalition. The good thing about coalitions is that we can be sure the people that are ruling the land have the support of a majority of the people. Unfortunate is that setting up a government after elections is a hell of a job. It can take up to one year to form a new government in The Netherlands! Another problem is that the parties have to discuss every new law endlessly, which slows down the political process. Because of its importance, speculations about potential coalitions after elections is an important part of the election campaign. There are 28 political parties part of the Dutch elections 2017. About half of those stand a chance of winning seats in parliament. The main traditional parties are from left to right: SP (socialist party), Groen Links (green party), PVDA (labour party), D’66 (democratic party), Christen Unie (Christian), CDA (biggest Christian party), SGP (reformed/protestant), VVD (liberals). Newer parties are the PVV (Geert Wilders party), the Party of the Animals (Partij van de Dieren) and 50+. American comedy host Trevor Noah sees similarities between Donald Trump and Geert Wilders. In recent years the party of Geert Wilders, PVV, joined in the political mix. Geert Wilders is famous for being anti-immigrant and anti-Europe. His populist views and opinions have quickly made PVV one of the biggest parties. In government though, PVV is a difficult party to work with. The other parties are not happy asking Wilders to join a coalition. During the 2017 elections campaigns, the PVV refuses to enter into any of the public debates. The last elections were in 2012. The 4 parties that won were: VVD, PvdA, PVV and SP. VVD and PvdA formed the government after 54 days of negotiations. Mark Rutte became prime minister for the second time. 9. Where to spend the money? In the 2017 elections the financial prospect for The Netherlands is looking good. This means there is money to be spend. Where to spend the money (welfare, healthcare, housing market, education) is a big issue in these elections. The political parties will make promises depending on their voters. Of course, because Geert Wilder keeps pointing to the ‘dangers of islam’, immigration continues to be a important issue. A couple of elections, voters in some area in The Netherlands used computers to cast their vote electronically. This made counting the votes easier. In the Dutch elections of 2017 however, it’s all back to hand counting. We go back to the red pencil to cast a vote. Dutch officials announced this after signs that the US presidential elections might have been cyber hacked by Russia.